Introduced to our media inflated world in 2014, the Fire Stick was created by Amazon in competition with the Google Chromecast and Roku. Identified as a new selection of electronic devices, these small gadgets were called streaming TV sticks using a plug-and-play method. With the mechanics of its concept, designed to a compact size of a flash drive, the Amazon Fire Stick can be plugged into the HDMI port of a TV. After just plugging it in, it allows the user to stream any content using their Internet connection over multiple websites such as YouTube, Kodi, XBMC, Netflix, HBO Go, Pandora, and so much more. It has a neat and simple all-in-one design under a plastic covering that is durable to its name. Packing so much power in such a minute casing, the Fire Stick not only enables its users to have access to almost every new show or video but also gives it to them at an affordable price of $39.99. Supporting 1080p resolution, the Fire Stick ensures an amazing streaming experience for all its users. It now supports a newly vamped interface that is much more aesthetically pleasing and a lot easier to use. With the induction of the Alexa voice control unit in its newer model, the Fire Stick provides for voice controlled activation over a new Broadcom Dual-core processor and 8 GB of storage! Alongside games, apps have also been introduced into the Fire Stick’s arsenal, making it a much more viable choice in contrast to the Google Chromecast or the Roku. 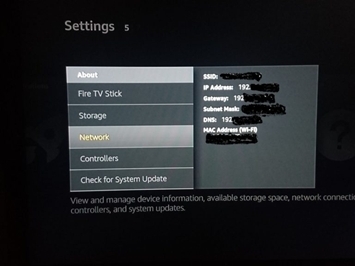 Unless you are a resident of the United States or the United Kingdom, the Fire Stick will have limitations on what it can and cannot stream based on your location. Due to certain bylaws, some countries have banned the usage of multiple streaming websites, deeming them harmful for their population. When such laws are erected, the Fire Stick must also bend to its will, rendering your once limitless world limited under certain rules. Every user has a rebellious intent to do what regulations intend to dispose of. There are certain ways to have full access to the entire candy store of the Amazon Fire Stick and that is by using proxy navigations or the easiest method—creating a VPN. Unless you are a veteran in the ways of the Internet, a VPN service with a wireless router is an easy and secure way of browsing the Internet and perusing blocked content like Kodi, XBMC, or Android TV on Android devices. The VPN connection or Virtual Private Network is an encrypted Internet bypass connection over a public or home-based network. It is a great way of streaming shows and movies that are only accessible in certain regions due to security concerns. However, a VPN server can also be used to access private Internet access networks without its user being in the same vicinity. It provides its users total anonymity and secure Internet privacy, as all the incoming and outgoing data inside the computer is encrypted. That also means that if you wish to access something that might embarrass you in public, it would be easier to use a VPN connection rather than letting all that information sit on your computer. However, sometimes it is also smart to use a free VPN server or even a paid service as many Internet providers throttle Internet speeds hampering live streaming or Internet access once they realize that an IP address and router is using too much. By creating bypass servers using the VPN service with the required software, you can access your original paid-for Internet speed rather than the diminished one. VPN for the Fire Stick does not work for the first generation models, but for the second generation alone. There are many ways to install a VPN on your Fire Stick, but the easiest method is to install third-party software such as IPVanish or ExpressVPN. Select Settings/System and enter Developer Options. Go into the UNKNOWN SOURCES section which is the second option in Developer mode. Flip the switch next to it and turn it ON. That will provide you with a message, which would entail encryption from hidden sources. Select OK and turn it OFF once more. When the Network bar is opened in the Settings panel, you will see these details that are unique to your device. Write all details down in a safe location where you can access them if you need to once more. Look for the SEARCH option given in the top bar and click on that. Type down, DOWNLOADER into the search space and select it. 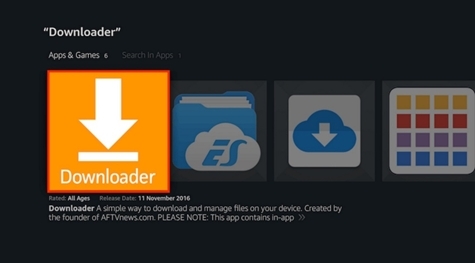 Select the first application under the name of DOWNLOADER in the search results. 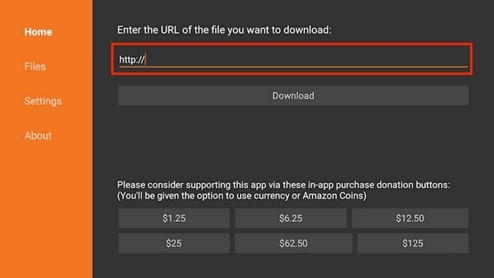 Select the GET option after opening the Downloader file. That will enable the file to be downloaded right onto your device itself. Upon completion of the download, a small notification will appear on the bottom right of the screen. Press the MENU icon or select the LAUNCH NOW icon on the notification itself. It will initiate a new URL link generation. On launching the file, the following layout will pop up onto your screen. The layout will offer a space where you are allowed to enter a specific Internet address/URL. Enter the address of a particular direct download link into the space provided using your remote control or Alexa’s Voice control. The link may be different for different downloadable third-party content. Alternatively, any other bit.ly address that has a direct download for third-party VPN software. Follow the instructions as move on to the next step by selecting the NEXT button. Click DOWNLOAD and the installation file will be downloaded right onto your device itself. When an install window pops up, use your remote to select the INSTALL option. OPEN on completion of the installation. Login or create an account on the software you have downloaded. Enter your newly made Username and specific passcodes for the third party content access. You are now able to connect to any server that your software client offers. To connect to a server on a reboot, enter APPS and GAMES. Your third-party VPN software will be present in the form of an isolated installed file. Select it on it once more to enjoy free and anonymous Internet media streaming.